Representing the first of STI’s 2017.5 new product launches, the STI HD8 wheels are now available. Engineering these wheels, STI focused on strength and style. The HD8’s unique blade-like spokes deliver incomparable appeal. As part of the overall construction of the wheel, the design helps increase the durability HD Alloy wheels are known for; that’s why they include a Lifetime Structural Warranty. The HD8’s eight spokes are finished in two different styles – Machined over Matte Black, and Dark Grey over Matte Black. 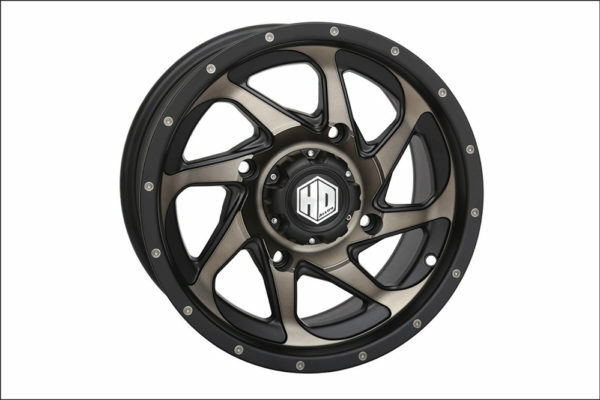 These new HD Alloys include a pre-installed valve stem with a matching black stem and cap. Each wheel’s center cap bolts on for security, and the lug holes are enlarged allowing the use of 17mm hex lugs.